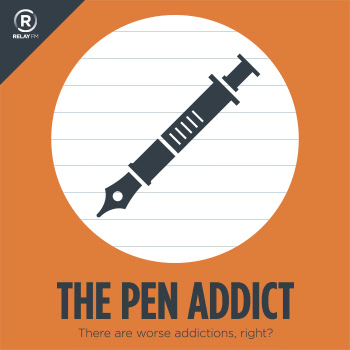 In this episode Brad and Myke share their new fountain pen experiences from the weekend. Brad attended his first pen collectors club meeting, and Myke attended his first pen show. It was a fantastic learning experience, although Myke went broke much faster. Fountain Pen Specialists established 2000: The Writing Desk. Fountain Pens and Fine Writing Instruments, Fountain Pen Ink, Quality Stationery and Premium Writing Accessories. The Writing Desk: Fountain Pen Specialists established 2000. Vintage and Modern Writing Instruments, Fountain Pen Ink, Quality Stationery and Premium Writing Accessories. The Writing Desk: Pelikan M205 Duo highlighter ink. Free UK delivery on all pens. The Writing Desk: Pilot Iroshizuku ink. Free UK delivery on all pens.